Join a large majority of the UK and buy a used Kia car. This South Korean brand has only been around for 25 years, but what an impact they have made on the car market. Previously named ‘Best Car Manufacturer’ by Which Car? The brand is very environmentally conscious which shows as they have been named one of the ‘Best Global Green Brands’. You will find a wide choice with Kia to suite your motoring needs. They have everything from hatchbacks like the Picanto, Cee’d and the supermini hatchback the Rio, even cater for the urban city car with the Venga. Looking for something sporty, the Korean brand have that covered with their Pre_Cee’d sports coupe. They also provide an array of larger vehicles for families. You could drive away in the sleek Cee’d Sportswagon estate, or take advantage of a MPV such as the Soul and Carens. Staying with the larger car you can purchase a vehicle with presence on the road when driving a Kia Sorento SUV or the popular crossover model the Sportage. We did say that Kia catered for every category of car, they’ve even provided an executive luxury model the Optima for the business commuters amongst us. This means you can drive away from our used car dealership with the knowledge that your new used car has gone through a thorough inspection. We make sure every car we sell we are 100% happy that you the customer will love your new used car purchase. 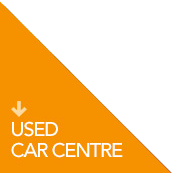 So why not pop into our used Kia dealerships in Weston-super-Mare or our Used Car Centre and let one of our sales team find you the right car. We look forward to seeing you soon!